Someone please explain to me why people are freaking out over this "sustainable" idea? They said they were going to keep the classic roller coasters, attractions, and rides, and expand the park to give it the ability to open year round. I mean, isn't this better than something like Alabama Adventure closing a their roller coasters and focusing on a water park? Or Kentucky Kingdom flat out closing? I've only been to Playland a couple of times and all I really thought was "memorable" was the woodie, the derby racer and one of the themed boat rides. If the world lost a Volare, would it really be that big of a deal? I guess I'm not seeing why this is a bad idea. Last edited by robbalvey on Thu May 16, 2013 2:20 pm. ^True. Losing part of a park is better than a whole park. But losing anything is hard to swallow, especially when other bidders promised to add and expand. Also, besides the rides Robb mentioned, the park still had dark rides (which have a loyal following), a Mangels Whip that is run at the originally intended settings and better than average bumper cars. Well, the park is a historical landmark. It's beautiful. The park hasn't changed in 85 years other than new rides. My favorite part about Playland, is that it has its own atmosphere. There are no teen couples making out in the queue or anywhere. 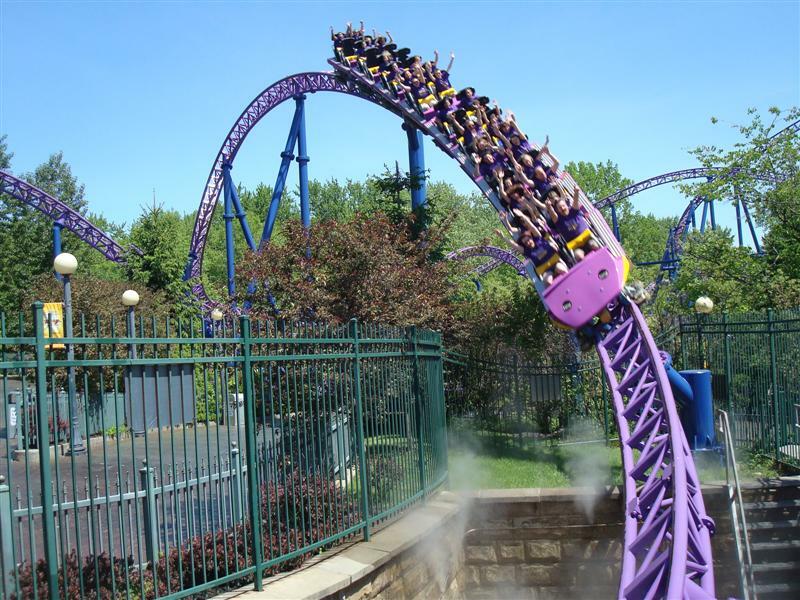 1 in 10 people has their phone out, instead of 8 out of 10 at a Six Flags. Playland is where you bring your friends, and don't care about anything else in the world except for right now. No other park in the area can match that. Sustainable wants to come in and destroy that charm. They want to be a crappy amusement park with 5 rides, and a great community center. I live an hour away, so I don't care at all about the latter. Also, on opening day I noticed, sadly, the Whip was running slower than last year. I went on twice to confirm. But hasn't the park been doing poorly for many years which is why it's in the situation it's in now? It would seem to me that if the community really supported the park it wouldn't be in this position, right? Maybe I'm wrong, but I'm just trying to understand this whole thing. Last time I was there I felt the clientele wasn't much different than your average Six Flags park, in fact, it was not a very "nice" crowd at all that we witnessed. Again, not knocking the park, I just have limited experience with it and trying to understand all the resistance to keeping the park alive. Last edited by robbalvey on Thu May 16, 2013 5:17 pm. Most fans are pretty sure there's no reason at all the park can't be successful if someone that actually cares about it, and has some idea what they're doing, takes over. Quite a few reputable companies seem to be of that opinion too, which is why they've made the proposals they have for it, so there has to be some merit to that. I know it's not the biggest and best park, but if it was your local park, wouldn't you rather see it given a fair chance to live up to its potential, instead of stripped down to little more than a family entertainment center with a couple classic rides? Plus, there's the fact that, if what's been posted here and a lot of other places lately is any indication, "Sustainable" isn't really so much an attempt to keep the park alive, as it is an attempt by the wealthy in the area to raise their property values. Meanwhile, several companies think they can make it work by building it up into a better park, instead of stripping it down to nothing. Is it really any surprise that people who've grown up with the park would much rather see that happen? If Rye Playland was operated by a private company that specialized in operating amusement parks, it would probably do just fine financially. Playland has always had to turn to outside people to run everything there on a concessionary basis and the people writing those contracts basically have no idea what they're doing. IIRC Playland doesn't even own the log flume they have and collects a pittance of its ticket value. Things like that are why Playland supposedly doesn't make money, not because the community "doesn't support it" or whatever. Which goes back to the question about Sustainable Playland: The belief, correct or not, is that they have no interest in the long term preservation of Playland, and that they are actually working on behalf of the local neighborhood (not Westchester County as a whole) to get rid of the park and increase their property value by cutting down the park size. If the facility isn't so large that it is unsustainable in the market, and the switch to a gated facility combined with complete financial management is the actual core problem (which is what many of them would likely argue in return), then the Sustainable Playland plan doesn't necessarily fix that but does plenty to dissuade people from continuing to come in the future. Yes, nearly everything at Playland is supplied by outside companies. The park has bought some of these rides in recent year's, but many of the concessions are outside. This is why Playland had to get rid of the Fun Card Points. The park trusted the ride owners that they would honestly report the number of "points" they received in ex amount of time. Thanks to human greediness, the park got short-handed by the ride owners, and the park discontinued the Fun Card Points. Yeah, the Park really doesn't know how to operate. The chairman of the Westchester Board of Legislators is asking a court to void an agreement between the county and Sustainable Playland, a nonprofit chosen by the county executive to take over Playland Amusement Park in Rye, adding more uncertainty to the already confused process of reinventing the historic park. Legislator Ken Jenkins, D-Yonkers, filed a lawsuit challenging the county’s approval of an “asset-management” agreement, arguing that County Executive Rob Astorino exceeded his authority in turning over the park to the group for 10 years without the approval of the Board of Legislators. “It’s unfortunate that this is a distraction, but we will continue to move forward,” he said. Astorino asked in 2010 for proposals to reinvent Playland, a national historic landmark, and make it financially independent of the county. He announced the choice of Sustainable Playland in the fall and, in April, said he had finished negotiating the 10-year asset management agreement. After the agreement is executed in the next few weeks, Sustainable is supposed to submit an improvement plan for approval by the Board of Legislators. The board also is independently reviewing other proposals for the future of the park, and it’s not clear how the lawsuit will affect the process. The lawsuit argues the Board of Legislators has authority over Playland and must approve leases longer than five years. Astorino said because the agreement was not a lease, it only had to be approved by the county’s Board of Acquisition and Contract, which he controls. But Staudter said the agreement has all the elements of a lease and confers rights beyond that of a license or management agreement. Asked to weigh in on what approvals are required, County Attorney Robert Meehan said in February that the board didn’t have to approve the agreement but did have to approve any major construction at the park. Sustainable Playland wants to bring in private operators to redevelop and run sections of the park, including a new aqua and beach zone, a field house and outdoor fields, a downsized amusement area and a great lawn and other public plazas and areas. The president of the board of Sustainable Playland, Kim Morque, said he hadn’t heard of the lawsuit and couldn’t comment. The board challenged the Astorino administration in several lawsuits last year over issues including child-care subsidies, the membership of the county contracts board and the administration’s cancellation of a bus line. The Playland lawsuit, filed in state Supreme Court in White Plains, asks for a court date of June 24. Sustainable Playland, the nonprofit entity picked by Westchester County Executive Rob Astorino’s administration to take over the management of Playland Amusement Park, has backed off plans to remove nearly one-third of the rides. The group, which signed an “asset management” agreement with Astorino in a ceremony Tuesday at the park, was chosen in the fall to reinvigorate the national historic landmark and turn it into a year-round destination with new sports facilities, a new water area and new public spaces. Now Sustainable Playland officials propose a smaller great lawn — one of its signature improvements — and removing or relocating only a few rides. The proposal to remove a large part of the amusement park had sparked opposition from the public and many county legislators. The new vision for the park was a sidelight to the event of the day, which was the signing of a lease with Westchester Children’s Museum and a 10-year management agreement with Sustainable Playland. The Children’s Museum now can take over the north bathhouse at the park and begin work toward an opening day within 24 months. But Sustainable still needs more approvals for its proposed changes to the park and faces a challenge in state court by Board of Legislators Chairman Ken Jenkins, who is challenging Astorino’s decision to pick Sustainable without board approval. But Astorino emphasized partnership at Tuesday’s ceremonies. “Sustainable Playland had the best vision for what a family park in the 21st century should look like,” he told a crowd of guests and media on the boardwalk. Astorino also said Tuesday that Mega Funworks has been replaced as operator of the amusement area by Central Amusement International, which runs Luna Park at Coney Island and is one of the 12 original groups to make a proposal for Playland. Sustainable plans to have private operators investing in and running different zones at the park while it acts as the overall manager. If Sustainable goes ahead as planned, the changes to the park will be made over several years, starting with the fountain plaza and the promenade. New playing fields and a fieldhouse also are planned, along with a revamped Ice Casino and a new water zone. Sustainable and its partners are expected to invest $34 million into the park. The Playland Plunge, a large log ride, eventually will be removed to open up the shoreline, said Geoffrey Thompson, a spokesman for Sustainable Playland, along with a few smaller rides and small buildings. But the Log Flume will stay. The changes were made in response to the large amount of concern expressed about shrinking the amusement park, Thompson said. “We’ll be able to create the great lawn, and it’s not maybe going to be quite as big as conceptualized,” he said. But Jenkins said the County Charter requires the management deal to be submitted to the board for approval. “I said, ‘Let’s just follow the procedure and there wouldn’t be any issues,’ ” he said. Jenkins said the board also still has questions about Sustainable Playland’s plans. The board may not approve the fieldhouse, he said, because of the impact on parking. And the fundamental question remains whether, with additional investment, the county could run the park without turning over some of the revenue to private operators. Sustainable Playland has 30 days to submit its improvement plan to the administration, then it will go to the Board of Legislators. If the board doesn’t approve the plan by Jan. 1, Sustainable can pull out of the deal. “The faster we can get this done, the better it is for the taxpayers of the county,” Astorino said.